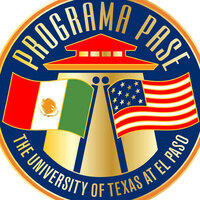 Are you a current UTEP international student who has concerns about PASE? Come join us and have your questions answered! These info sessions are presented in Spanish and families are welcome. Login with your UTEP ID to interact with events, personalize your calendar, submit an event and get recommendations. If you don’t have a UTEP account, we invite you to login via one of the options below to access our interactive calendar. The UTEP Events Calendar is for University-related events only. All event submissions are reviewed and approved before posting.